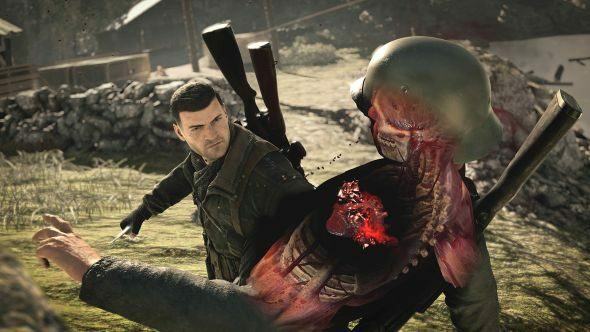 Sniper Elite 4 is just a couple of months out in February 2017, so it’s time to start, as this trailer puts it, fan the flames of resistance. That would be, well, you, taking the role of Karl Fairburne and extending the hand of bullets into the brains of various key targets across Italy in preparation for an invasion. The first story trailer, embedded above, lays all that out. More of 2017 in our upcoming PC games list. There’ll be more “intel videos” as Rebellion are calling them in the coming weeks, looking at characters, side missions, levels and the overall plot. We’re ten weeks out from launch, so one a fortnight seems likely, assuming the Christmas period doesn’t get in the way. It’s up on Steam if you want some more info. They’ve also been using the community section there for various announcements, such as livestreams. Keep an eye out.